The ultimate aim of RECOMB is to create a novel treatment for one of the most common types of SCID, RAG1-SCID by performing phase 1 and phase 2 clinical trials using autologous haematopoietic stem cell‒based gene therapy. 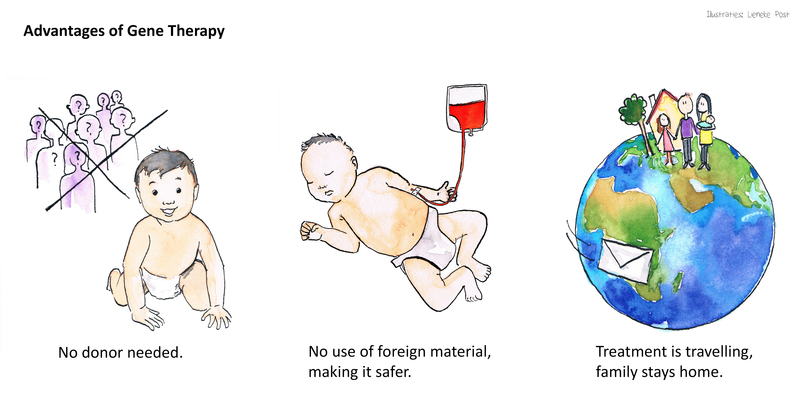 Allogeneic haematopoietic stem cell transplantation (HSCT) is currently the only available treatment for (most types of) SCID with low survival rates for patients without a matched donor and possibility to develop graft versus host disease. Moreover, HSC transplantation centres might be distantly located from patients’ residence, and their treatment requires travel and move of the patient, together with their families for a longer period. Members of our research consortium conducted the first successful clinical trials using gene therapy for treating two of the three major categories of SCID (X-linked SCID and ADA-SCID). 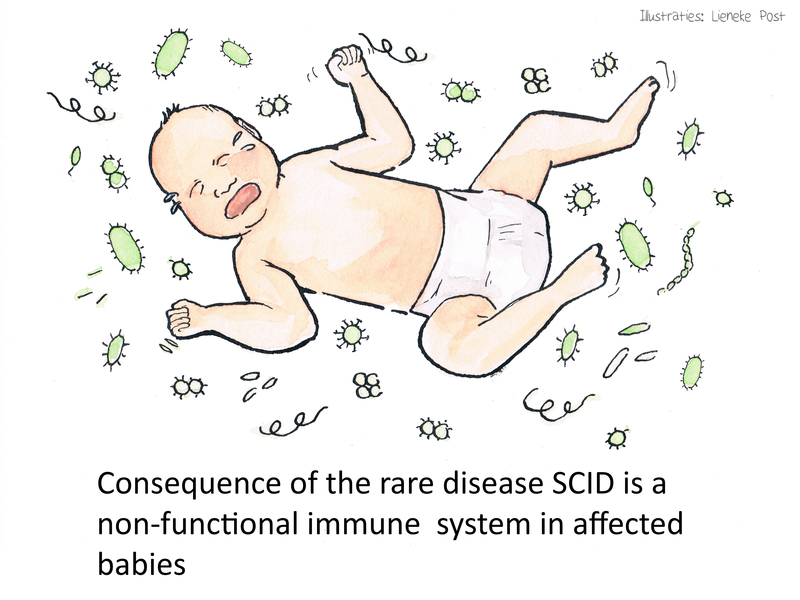 With respect to the third and most common major category of SCID, recombination-deficient SCID (RAG-SCID), the RECOMB consortium has obtained proof-of-principle using preclinical in vivo models. Therefore, the ultimate aim of the RECOMB project is to fill the unmet medical need for treating RAG1-SCID by performing phase 1 and phase 2 clinical trials using autologous haematopoietic stem cell-based gene therapy. In an autologous transplant, the patients’ own blood-forming stem cells will be collected, sent to the transduction site (LUMC), and genetically modified stem cells will be returned to the participating clinical centres and transplanted to the patients. 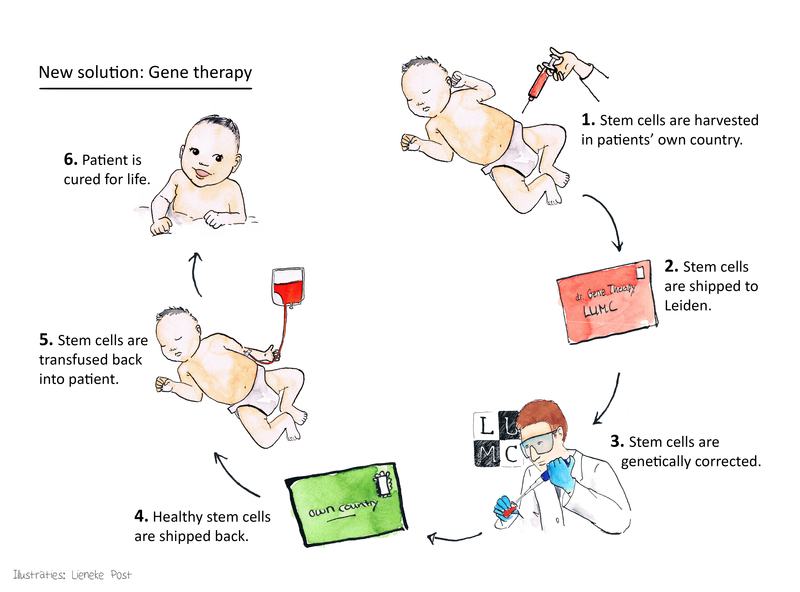 Through RECOMB gene therapy the patients will be treated with their own stem cells, thus they will have an increased chance of survival with no risk of graft versus host disease. Another advantage of our protocol is that the patients and their families will not need to travel across Europe for treatment, only the cells will be shipped instead. 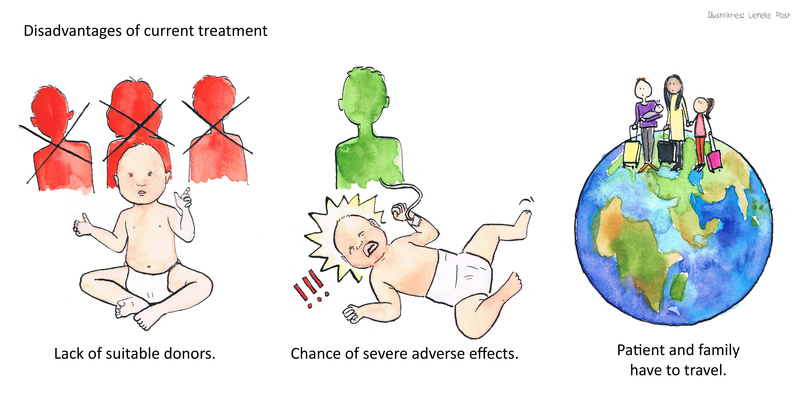 These trials should lead to effective treatment for over 70% of all SCID patients in Europe.